It started at the New Delhi Airport and stayed with me for the entire weekend. That funny feeling in your gut when you’re about to experience something totally new. 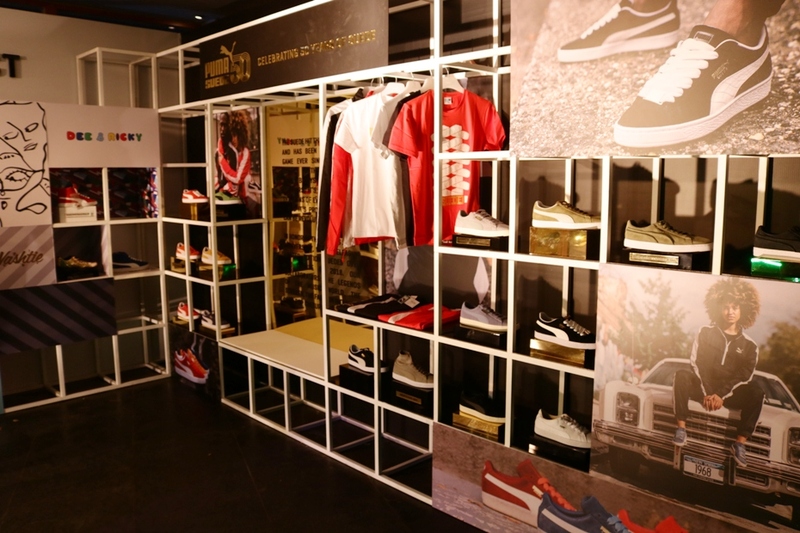 Thanks to PUMA India, I was invited to attend the Sneaker Pimps event in Pune. Probably the most important event for the Indian sneaker scene was about to take place but nobody really knew what to expect. Regardless, it was one of its kind and India’s first so getting to be a part of it sure felt special. I did have a vague idea, thanks to this brief Q&A I did with Sneaker Pimps as a precursor to the event but for the larger part, it was still a blur. We landed in Pune and after a short bus ride made it to our hotel. When I say “We”, I mean the entire Delhi Crew some of whom I have known from our sneaker meets. The crew from Bangalore was already there. After meeting our PR contacts Nasreen and Nidhi, we checked in and were already out and about. While I had a few places on my list including the good old Marz-o-rin and a place rather new to me called Barometer in Kothrud, we ended up at Burger Barn in Koregaon Park instead. After smashing our portions and discussing some of the recent releases, we went to the hotel to get our PUMA T7 and B-boy gear. The kicks had reached me while I was still in Delhi so I was careful not to put them on and saved them for the event. Lighter colors tend to pick up dirt faster and I didn’t have any cleaners on me so it was a no-brainer. We got the message to be in the hotel lobby at 3:20 PM. Despite wanting to prod each other more about our lives, myself and my roomie Nishant Fogaat headed for the venue earlier than the others as there was nothing to do at the hotel. Plus, I wanted to see and smell the shoes before the Saturday evening crowd started pouring in. The venue was a famous pub called BlueFrog, tucked away in an inconspicuous corner of the Ishanya Mall. As we walked in, the first three faces we were greeted by were none other than the star trio of the day – Peter Fahey, Clinton Maynard and Paulina aka the Sneaker Pimps. They had a lot to do, so after meeting the PUMA staff who were coordinating everything, we moved on and started looking around. The whole set-up was still coming along but it looked good. Remember, we were early. The place was open-plan and spacious. 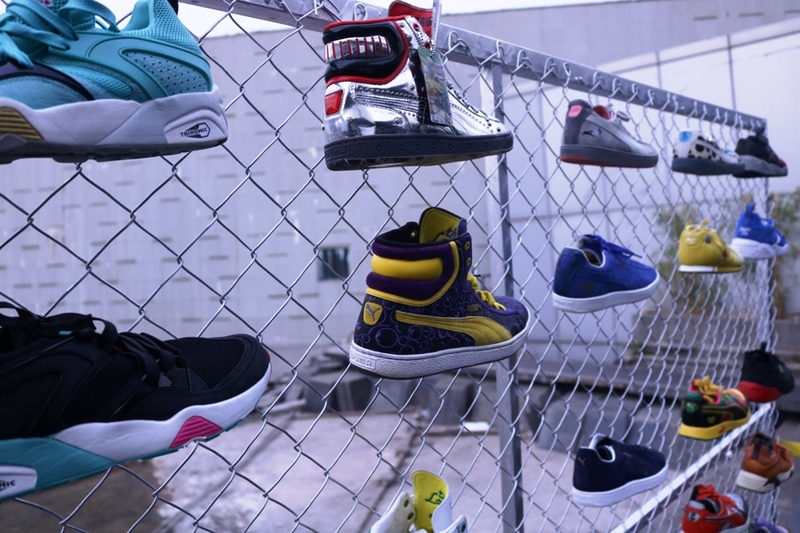 As soon as we walked into the patio, all I saw were kicks upon kicks upon kicks hanging from display racks. Excited as a kid, we walked towards each rack and marvelled at the sheer scale of the entire collection. There were no interruptions and I was able to have a look at every single shoe while more racks moved into place. Gazing at some of the most coveted shoes including my personal Grails was unreal. Every now and then you would run into an obscure release and scratch your head. But then, you would run into something totally mind blowing. The 2004 Japanese Monster pack for example had me speechless. I had never seen the Mecha King and the Moth King in person before and here they were, basking in the Patio of a pub under the Pune sun. The Japanese Monster Pack, the Sneaker Freaker collabs, Ronnie Fieg x Highsnobiety Pack, the Coogi and Mita collabs, the RS-100, Yo! MTV Raps, Staple collab, etc. were just a few to name. Mind you, these were just the PUMA’s they had put up on display. 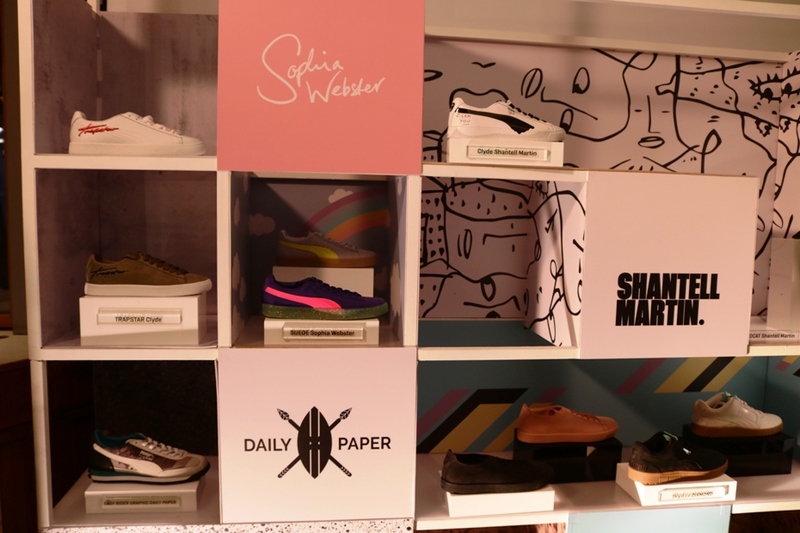 Sneaker Pimps had an amazing selection from other brands including some autographed and older models that would take months of looking around and even if you found them, you might not get them in your size. I clicked away as much as I could while the crew from the hotel reached the venue. Some had decided to get a quick nap so they reached later than us or just decided to stay a little longer at the hotel. Soon after, they went for their solo photoshoots with SSSMagazine. The place was starting to get livelier by the minute and every now and then, the odd beat would drop and head bobbing would commence in unison. Other curious cats with their cameras rolled in and I did not want to miss a single shoe, so I soldiered on. As the last traces of daylight started to fade away, we squeezed in some group photo sessions. I also got my solo shoot going with SSS Magazine whose crew stayed super busy with the coverage and for the right reason. With the shoots done and completed, everyone caught a breather for the major highlight of the day that began with a man tearing apart the local newspapers and gluing them onto a canvas that was set up for him. Futura aka Futura 2000 was in the house! 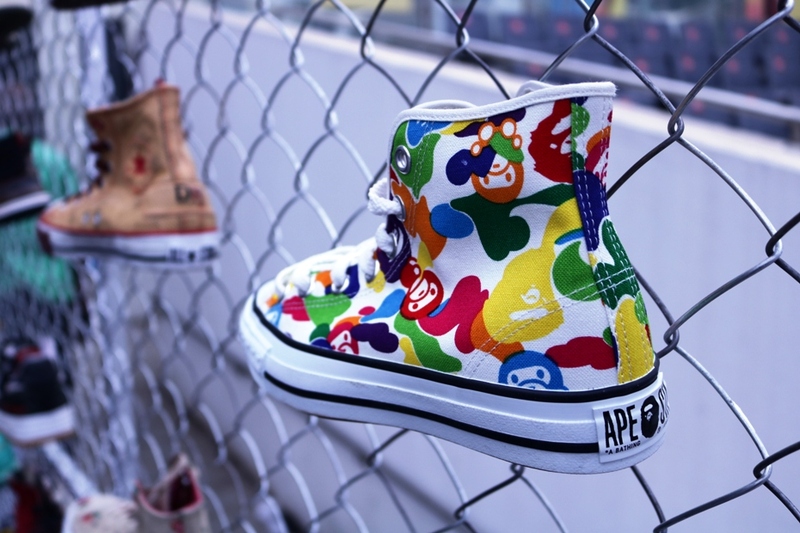 The legendary 70’s Graffiti artist was not new to Sneaker Pimps and neither to India. 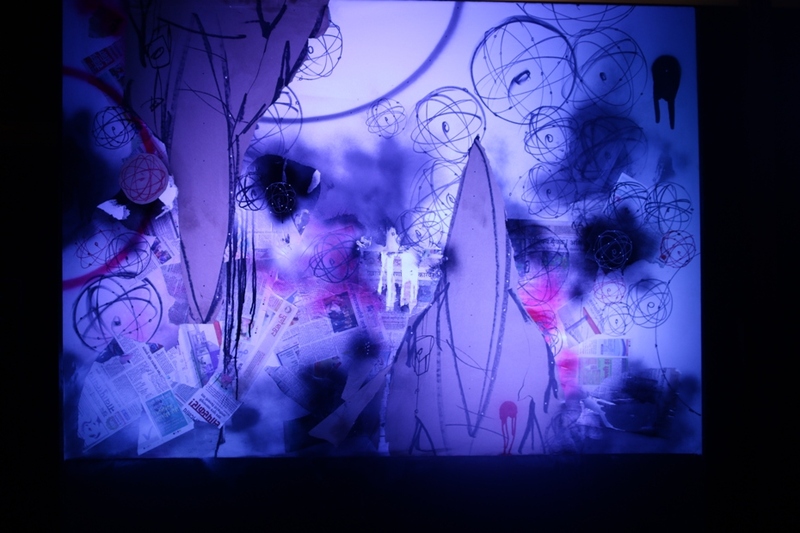 But it was the very first time I watched the master artist shape his signature creation in front of me – The Pointman. Creating perfect semi-circles with his free hand and a spray can, adding dots to the atoms on the canvas, fixing the little flaws and removing the things he didn’t want were all being watched, recorded and photographed. He often took breaks in between to let the paint dry. That was the window for most of us to strike a conversation with him. His work with The Clash and making their album covers, the wall he did at the Barcelona Olympics, his life story, sneaker collabs, etc. were all part of these conversations and you couldn’t help but think – “What an amazing guy!” It all finished on a high note when shortly after completing his piece 5.5 hour long piece, he sat down, made a quick piece of art on some brown paper, rolled it up and handed it over to Nishant as a parting gift. Fogaat couldn’t react for a few seconds and stood there stunned before bursting into tears. People probably don’t understand what this event meant to us and what an art piece from the legend himself meant to our good friend. In a way, it made everyone respect Futura even more. While everyone clicked away at the finished art piece, the Saturday evening club crowd got thicker. Even though the music had been playing for a while now, the crowd hadn’t quite hit the floor yet. All of that changed when the B-Boy crews rolled in and literally hijacked the floor with their dance battles. Everyone wanted to break a leg soon after and wanted to be part of the floor. That’s when DJ Neil Armstrong dropped his set and the floor went crazy. Popping for pictures and a few pints here and there, the PUMA sneaker crew owned the floor as soon as the dance crews trickled off. I mean, the crew made Dj Neil Armstrong play another set after he had already decided to pack things up and call it a day. Once everybody was accounted for, we called it a night and headed for our transport back to the hotel. Everyone seemed to have had a good time. It was quite a day and a very long one so we just crashed when we reached the hotel. Next morning, everyone had lost their voice. With swollen eyes, we said our goodbyes to each other and to Pune. The turnout had been much bigger than we had expected and we were stoked for the second leg in Delhi already. Soon enough, we headed for the airport and got some extra shuteye during the flight back home. But it was only after landing in Delhi that I realized what I had just been a part of. 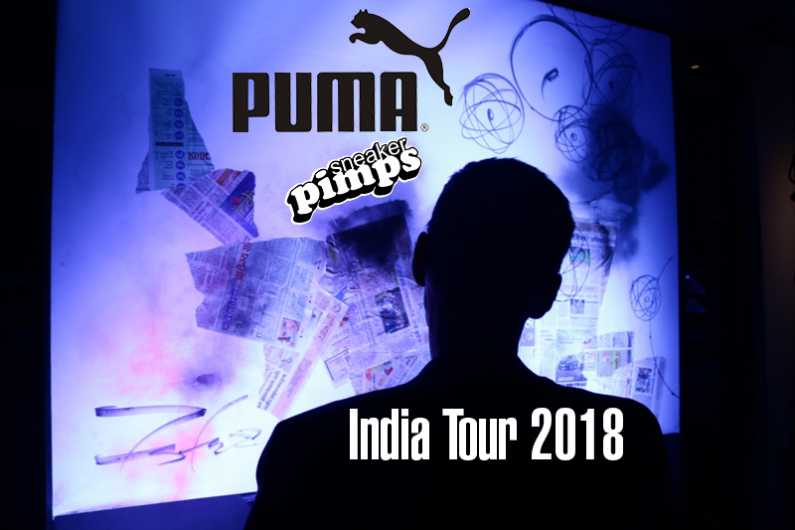 This event would go down in the history as one of the best events and we had PUMA India, Sneaker Pimps and everyone else involved to thank for it. The Delhi crew had been super fun to be with and it was my first time meeting the Bangalore heads too. But this was just the first leg of the event. On my way back home, I couldn’t help but giddy up to the thought – it wasn’t over yet….